Last month at a ceremony followed by dinner in Vancouver your scribe was admitted as an Honorary Confrade with the rank of Cavaleiro (Knight) in the Confraria do Vinho do Porto (Port Wine Brotherhood & Sisterhood) established in 1982 with the purpose of communicating, promoting, and reinforcing the worldwide reputation of Port Wine. 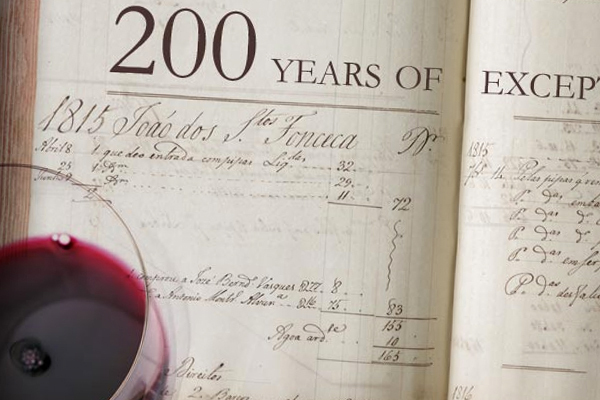 This title is given to those who have been recognized for having made a commitment and by their actions, reputations, or position made a significant contribution to the image and knowledge of Port Wine. The garnet-coloured cape, trimmed with a black ribbon, and wide-brimmed black felt hat, with a long black silk sash draped around the crown and falling over the left shoulder worn by the members added a dashing impressive look to the proceedings. 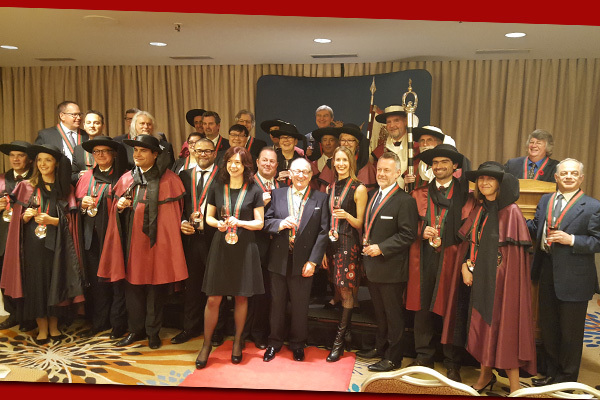 Our induction ceremony was led by Chancellor George Sandeman following on from earlier ones this year in Shanghai & Macau, with Toronto & Montreal in 2015, and New York, Washington DC & Boston in 2014. Every year in Oporto on St John’s Day (June 24) is a joyous Entronizacao (Induction Ceremony) coinciding with the race of the Barca Rabelo (flat-bottomed boats used for bringing the Port Wine from the Douro to Oporto). With a glass of Port Wine in hand we proclaimed “Comprometo-me a dar o meu apoio a Confraria e continuar a lutar pela dignificacao do Vinho do Porto” (“I swear to give my support to the Confraria and to continue fighting for the honour of Port Wine”). Saude (Saw-OO-de)! 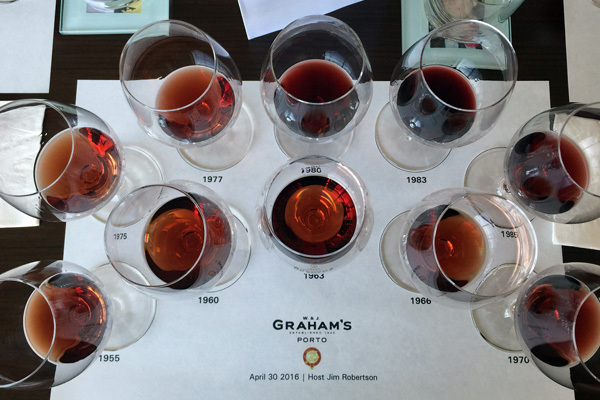 Are you a fan of Port wine?